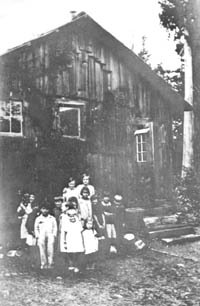 Egmont, the northernmost settlement on the Sechelt Peninsula, was founded in 1880 by a legendary half-Scottish, half-Portuguese seaman and trader named Joseph Silvia Simmonds. He had worked for the Hudson's Bay Company, prospected in the Caribou and built a saloon in Vancouver before arriving in Egmont where he married a Native woman, Lucy Kwatleematt. Simmonds later dropped his surname and used the name Silvey. His descendants still live in the Egmont area. More information on Portugese Joe Silvey can be found through Harbour Publishing's book "The Remarkable Adventures of Portugese Joe Silvey."